Welcome home to the best value on the Main Line. Located on a quiet street in the highly-sought-after Lower Merion School district, just a 10-minute walk to the Paoli/Thorndale Line at Haverford, and close to all the great dining, shopping and Universities that the Main Line has to offer, this charming traditional brick twin boasts four bedrooms, one full bath, a powder room, and the kind of upgrades that matter: Newer oak flooring throughout, Pella windows, central air conditioning and a remodeled kitchen that a master chef would love, including stainless steel appliances a commercial gas range, dishwasher, an oversized cast-iron farmhouse sink and new cabinetry with plenty of pullouts and a pantry. Enjoy your morning coffee on the sunny front porch overlooking a cascading rock garden shaded by a Maple Tree and a unique Hinoki Cedar. In the evenings enjoy a gentle breeze on your intimate backyard deck surrounded by majestic bamboo tubs, organic tomatoes, roses, tulips, daffodils, pachysandra and ostrich ferns. The home also comes with a very large storage shed replete with gardening tools. Interior storage areas include well-lit 3rd floor storage, ample bedroom closet space and spacious basement, complete with washer and dryer along with a second refrigerator and freezer - all included. The second floor has three good-sized bedrooms, one with a beautiful bay window and the fourth bedroom takes up the entire 3rd floor. The newly remodeled second floor full bath devotes a wall to a floor-to-ceiling fully shelved closet. 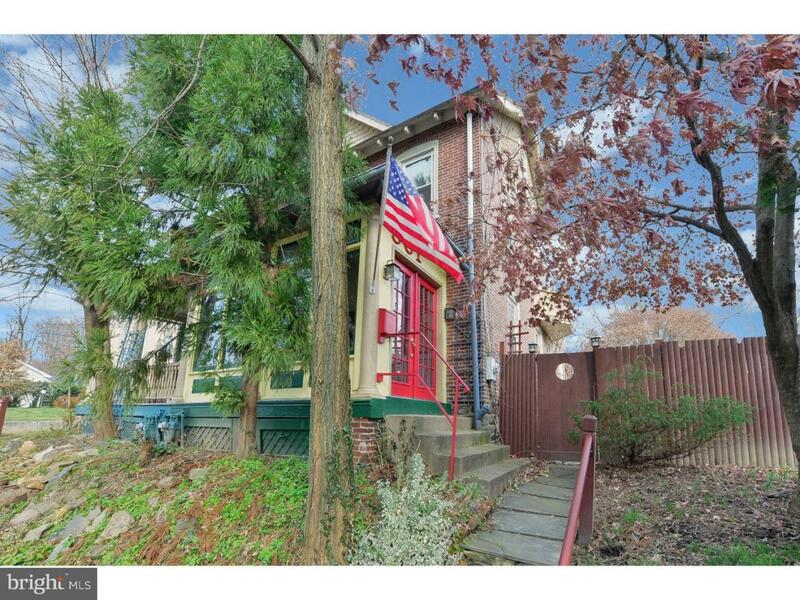 Compare this home to other four bedrooms in the area priced at well above 400K and you'll see why 531 Barrett Ave has the best combination of location, features and price available on the Main Line.